South Australia’s lower Yorke Peninsula will benefit from improved power security and reliability following the completion by ElectraNet of a 30 megawatt large-scale battery. Built at Dalrymple, on South Australia’s Yorke Peninsula, it is the first certified indoor battery in Australia that is connected to the energy grid. 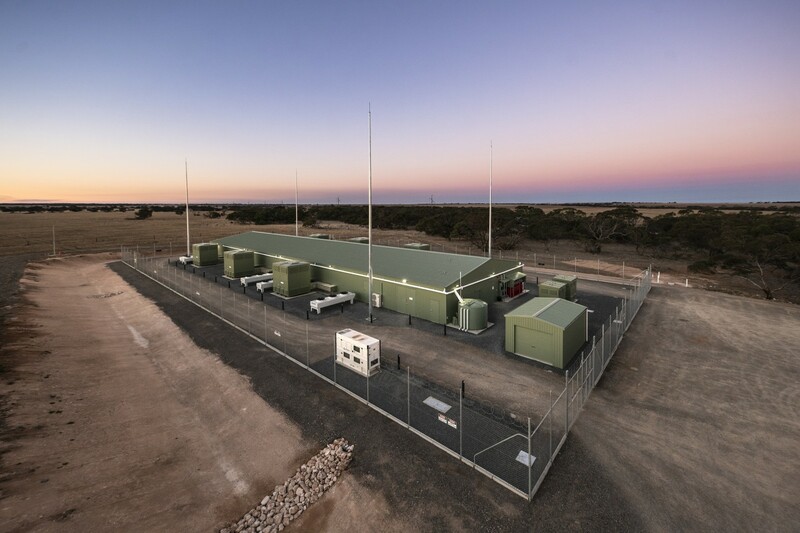 ElectraNet chief executive Steve Masters said the new battery at Dalyrmple, on Yorke Peninsula, was an example of how energy storage could strengthen Australia’s power grid and improve localised reliability. “The South Australian energy mix and landscape has changed significantly in recent years and the introduction of this battery on the network by ElectraNet is part of our support to transition to a low carbon economy,” Mr Masters said. “It will provide both regulated network services and competitive market services to ensure it’s being fully utilised and importantly for lower Yorke Peninsula customers, it will help to power their homes and businesses in the event of an unplanned network outage. ElectraNet’s battery project received part-funding from the Australian Renewable Energy Agency (ARENA) with construction completed in April 2018 followed by commissioning and testing. The battery system will be operated by AGL. AGL General Manager Development and Construction, Dave Johnson, said the company was proud to be operating the battery in the national market. ElectraNet commissioned Adelaide company Consolidated Power Projects (CPP) to build the facility; CPP worked with international power company ABB and battery provider Samsung to deliver the project. The battery storage facility took more than 30,000 hours to construct and features 2268 batteries, 6 transformers, 12 power stores and more than 28km of cabling. A key outcome of the project will be knowledge sharing, with insights gained and lessons learned from the project shared with interested groups in Australia’s energy sector. This will help contribute to the advancement of the wider sector’s knowledge in relation to transmission-level battery-energy storage and renewable energy integration within the National Electricity Market (NEM).